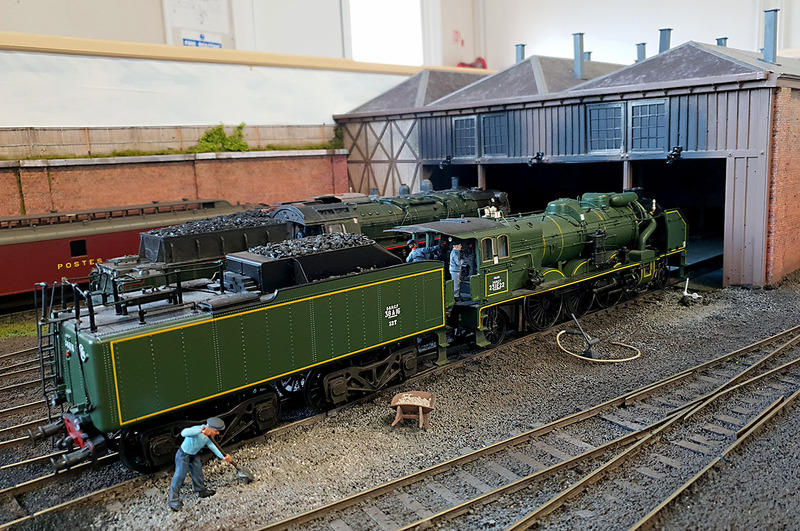 The Royston and District Model Railway Club held their annual exhibition last weekend. There were three layouts that caught my eye. The one I’d been looking forward to seeing was Ben Moor Foot Peat Railway by Graham Moorfoot. 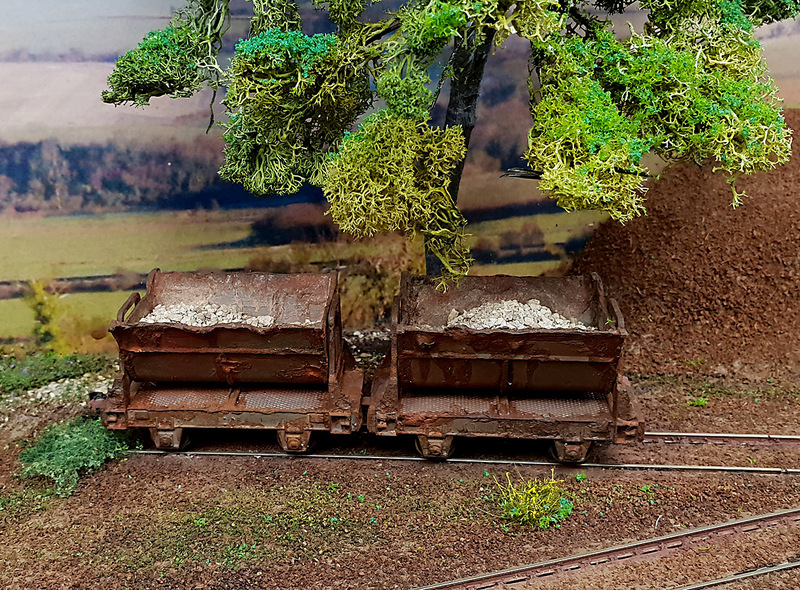 It is a fictional model of a 2 foot gauge peat railway in North Lincolnshire in the 1990s. The peat is transported over the boggy land to the processing works where it is put into bags or bales or just stored in a heap to be processed later. There’s some very nice detailing that merits close inspection. Surprisingly, the layout was for sale and the price of £450 seemed very reasonable. If you are interested there are more details here. 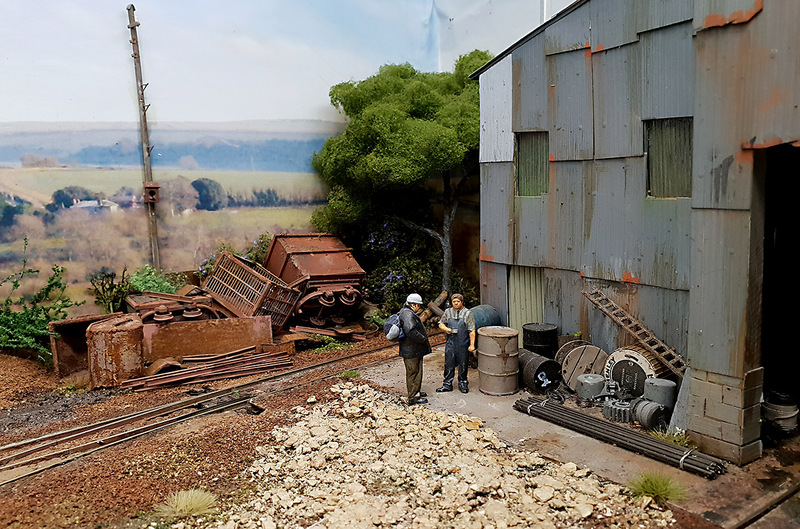 John Smith has created a charming 1950’s French loco depot. 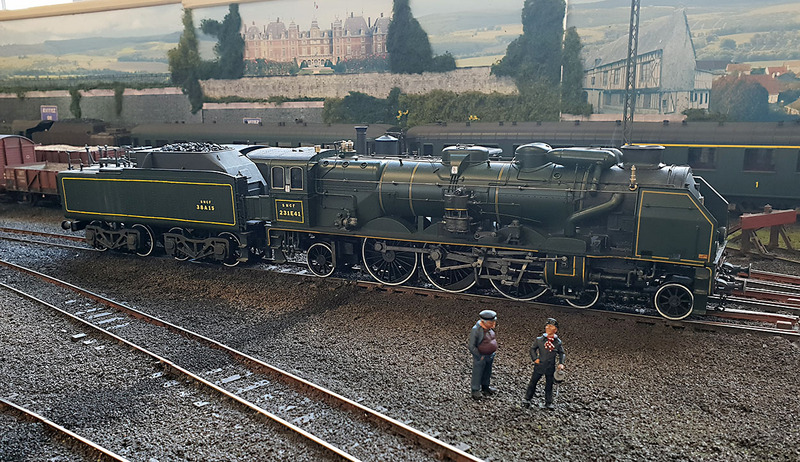 It had absolutely lovely O scale locomotives, with sound and smoke, and the slow running was impressive. I think I will let the photographs speak for themselves. John and Peter Smith have a very nice website describing their layouts if you are interested in knowing more. Chica Illinois by Peter North was the surprise of the exhibition. It represents a fictional small town in Southern Illinois in the 1950’s. The railroad is struggling to stave off bankruptcy, and the decrepit buildings, track and stock are very well modelled. 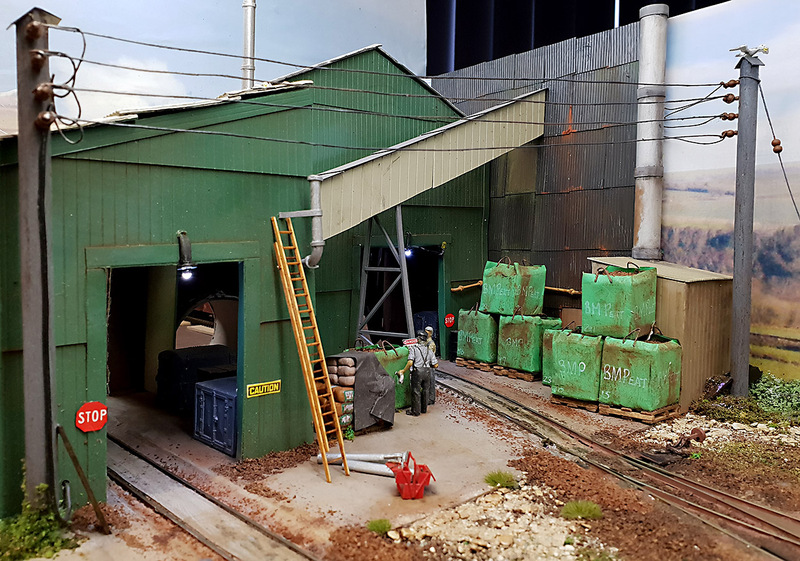 Peter describes his HO scale layout as ‘standard gauge with narrow gauge atmosphere’. Perhaps that’s why I like it. The exhibition always has good traders and I brought a few sheets of plasticard, some card glue and a bacon roll. Well, it would be rude to refuse a bacon roll ! Great photos Stephen. Thank you for sharing them.